RSVP required. Space is limited. The workshop is now full! The cost of the workshop takeaways are supplemented by an Ohio Department of Agriculture Healthy Soils Mini Grant. When completing outdoor chores it’s easy to forget we all have complex mini-ecosystems in our yards. Each decision we make on how to care for our home and yards has a direct impact on the health of our soil and water. Many don’t realize that whether they live in an urban, rural, or suburban area, nature lives in their backyard. 3) Tools and/or materials to implement the conservation practices. 4) Assistance from experts to complete the practice. ​Greg Meyer, OSU Extension Educator, will give a presentation on proper gardening practices including information on soil testing, types of plants for soil type, and how to improve the nutrient balance in the soil. The presentation will also include information on composting practices. Greg is an experienced presenter for Master Gardener courses as well as other natural resource and agricultural topics. ​Participants will leave with an understanding of how soil tests and composting can benefit soil health​. Consuming thousands of bugs reducing the need for harsh pesticides. Pollinating plants the same way bees do. Fertilizing the ground with nutrient-rich bat guano. 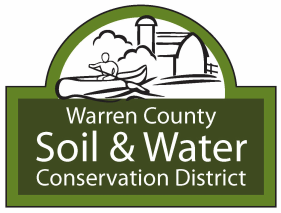 ​Warren County SWCD staff will give a presentation on how to assemble and install a rain barrel on a home. Residents will learn how a rain barrel works and how to maintain the barrel properly and responsibly. ​Rain barrels capture water from a roof and hold it for later use such as on lawns, gardens, washing cars or indoor plants. Collecting roof runoff in rain barrels is helpful in times of drought and reduces the amount of water that flows from your property. It's a great way to conserve water and it's free water for use in your landscape.